Screw Drivers are one of the most common tools a small engine technician will be using. Some basic usage rules are as followed. -Never use a screw driver on an object you are holding. Always secure the object with a clamp or vise. An Impact screw driver is a tool that when struck with a hammer produces a twisting motion. used to remove very tight screws. 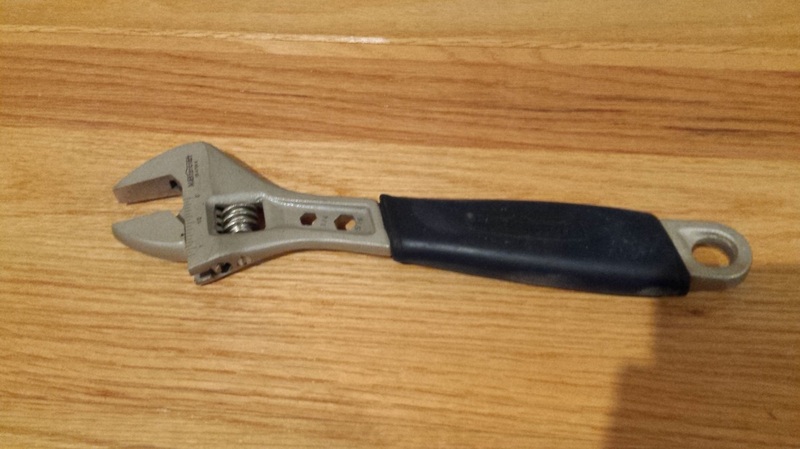 Wrench - Used to loosen and tighten nuts and bolts. Size is referring to width of opening. Open End = Only contacts side of nut / bolt. Often has different sizes on each end. Box end = Prevents slipping. Fits completely around nut / bolt. Often different size on each end. Adjustable = Can fit many sizes. Does not grip as well. often slips and can round off and wear out nuts / bolts. Six Point - Provides better support and strength = better for very tight bolts. Can only be used in 6 positions. 12-Point - Thinner head Is better for tight places. Can grab bolt in 12 positions and requires less swing to use. Not for tight bolts. Allen + Hex wrench - Six sided. usually features a 90* right angle to form a handle. Torx Wrench - Star shaped. Can handle more torque before slipping. 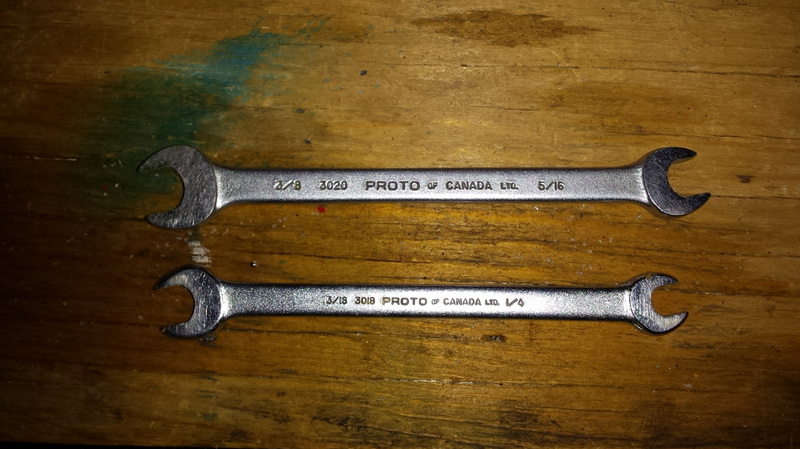 Socket Wrenches - Usually manufactured in sets of graduated sizes. Snap into a handle. Safer and faster to use than open end, or box end wrenches. Can be used with various handle devices. Reversible Ratchet - This is the most common handle for sockets. Has a shift lever to change direction. The ratcheting mechanism can be damaged if to much force is applied. Breaker Bar - This bar has a drive for a socket fixed on its end. Does not ratchet. These can withstand more force and are recomended for tighter bolts. Torque Wrench - A Special tool that features a dial or scale that indicates the amount of torque applied to a fastener. Normally measured in ft-lbs. 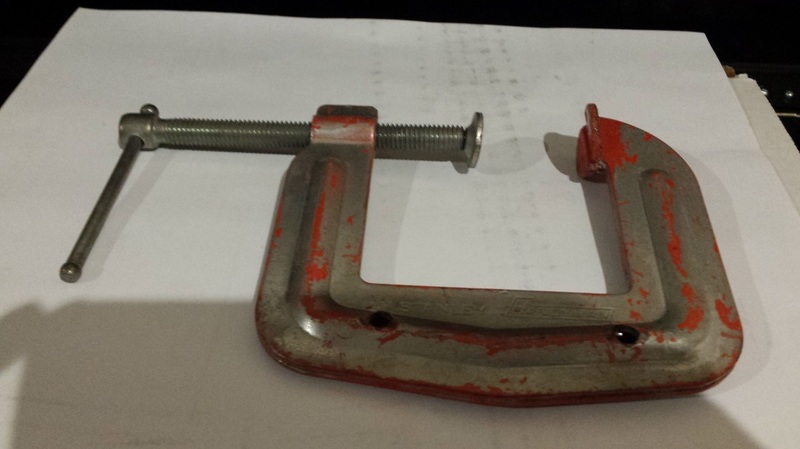 This is used where exact specifications are required when tightening a bolt. Extension Bars are used to reach bolts that are tucked away, But are to be avoided unless necessary for safety measures. 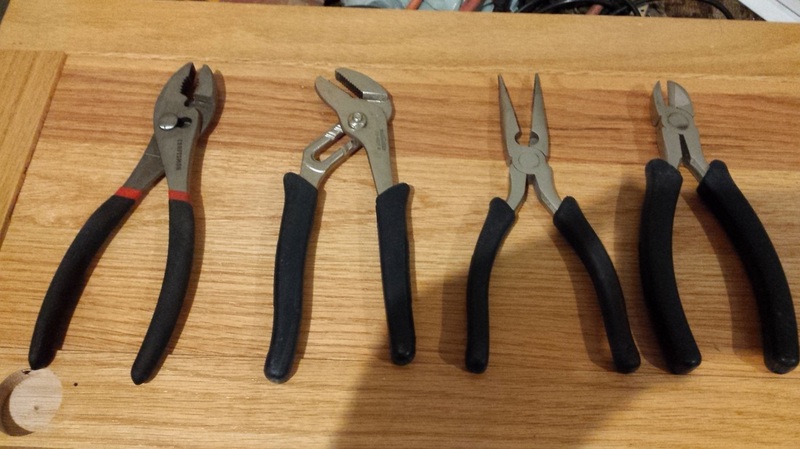 Vise Grips - Locking Pliers. These lock into position to keep both hands free to work. Long + Needle nose - Useful for gripping or twisting small parts. Good for reaching tighter areas. 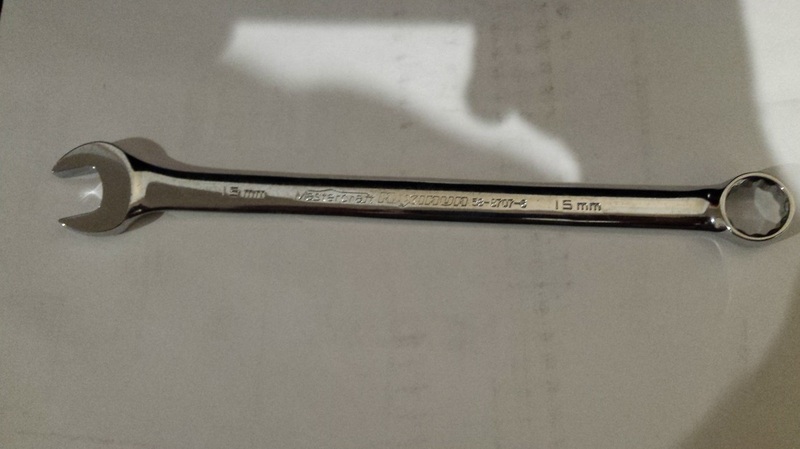 Needle nose pliers are smaller and thinner. Both can easily be damaged if used for heavy work. Internal Snap Ring Pliers - Jaws come together when handle is squeezed. This type of snap ring is used to contain components inside a hollow shaft. External Snap Ring Pliers - Jaws spread apart when handle is squeezed. This type of snap ring fits inside a groove machined on the outside of a shaft. 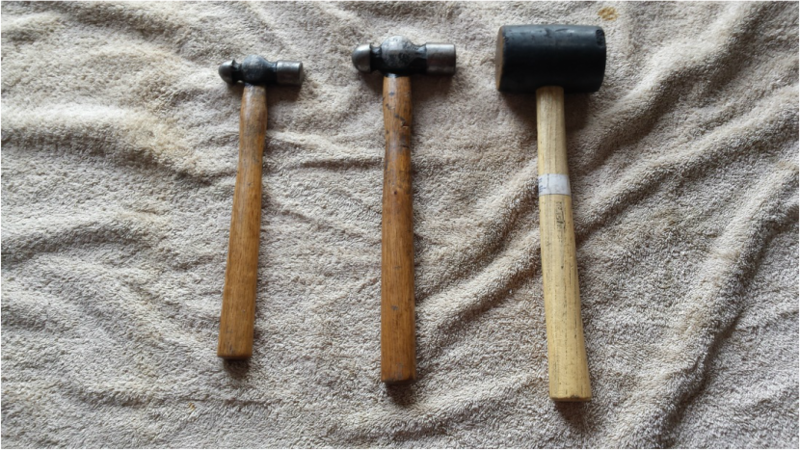 Ball Peen Hammer - One Side is flat. The other side is rounded. Flat side can be used for normal hammering. Ball side can be used to round off rivets. Soft faced Hammer - Made of brass, plastic, or rubber. Punches - Used to make indentations in metal, or to push pins. Center Punch - Used to mark the center of holes to be drilled. This prevents wandering of drill bit. 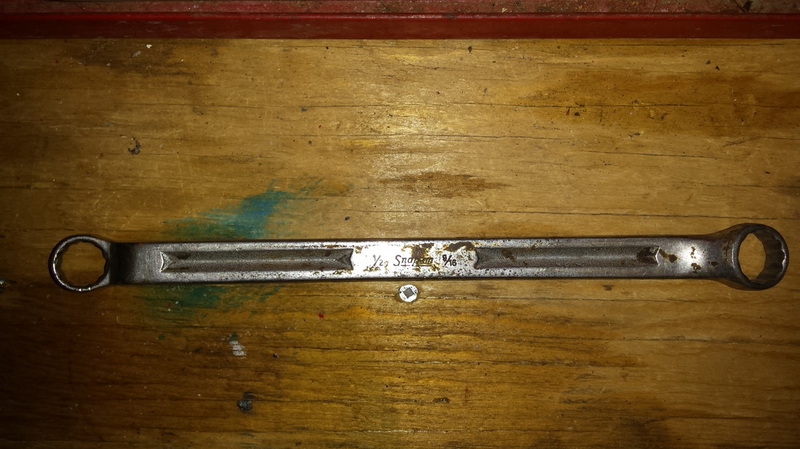 Starting + Pin Punch - Used to remove pins / rivets. Starting punch is used to drive a pin part way out. Pin punch is used to drive the pin the rest of the way out. Clamps and vises are used to hold work pieces stationary so that both hands can be used to work on the work piece. C Clamp - this is a portable clamp. Bench vise - Clamped or fixed to a work bench or table. A handle is used to open and close jaws that clamp items in place. Jaws are often made of a softer metal to prevent damage to item held in place. Hack Saw - is used to cut metal to heavy to be cut with snips. Most have an adjustable frame tightened with a wing nut. Keyhole Saw - Often has a pistol style grip. Useful in tight / awkward spots where more blade control is required. Harder and thicker materials should be cut with a courser hacksaw blade. -Blade should be installed with teeth slanting forward. -Make smooth even strokes. Only apply pressure going forward. -All work pieces should be secured. Do not holding materials being cut. Cape Chisel - Used to make gouges in metal. Flat Chisel - Used to cut bolts, screws, or shear metal. Diamond Point Chisel - V-Shaped grooves. used to square corners or slots. Round Nose Chisel - Cuts semicircular grooves. used for inside corners. - Will often 'Mushroom' on strike side. When mushroom gets excessive, grind it smooth. Taps and Dies are used to cut threads into metal. Plug Tap - Has only a slight taper. Screw Extractor - Can be used to remove a screw with a sheared head. File - A cutting tool that is used to smooth surfaces and edges. Classified by the file shape, type, and number of teeth. Heel - This is the base of the tang. The body of the file begins at the heel. Face - Flat side with cutting teeth. A Course file has a small number of larger teeth. A Smooth file has a larger number of teeth, and removes less metal per stroke. Always install a handle onto the tang. apply pressure on the forward stroke. Clean files with a file card. Some specialty tools will be used in the small engine repair field. Some will be explained in more detail later. Flywheel holder and Clutch Wrench - Flywheel holder holds flywheel stationary. Clutch wrench is used to remove starter clutch. Flywheel Puller - A puller specifically for flywheels. Many manufacturers have special pullers for use only with their engines. Cylinder Hone - Used to smooth out high / low spots inside a cylinder. Produces the required surface finish (Cross Hatch) Attached to a power drill. Measuring tools such as Micrometer, Feeler Gauge, and Dial Caliper will also be used. 500,000 Hand and finger injuries occur every year and are caused by improper hand tool use. These injuries include bruises, sprains, broken bones, cuts and punctures. Power Drill - Referring to the drill motor (handheld drill). Used to drive a drill but, or screw driver bit. A power drills size is designated by the size of the chuck. 1/4" - 1/2". - When drilling a large hole, drill a small hole initially and gradually increase the bit size until desired size is reached. Drill Press - A floor standing, or bench mounted piece of equipment that can drill precise holes. Drill bit is held stationary so that it can drill exact angles and depths. Bench Grinder - Usually has two rotating wheels. Can have an abrasive grinding wheel, or a wire brush wheel (or both). Can be used to sharpen and smooth / polish metal. Removes rust. 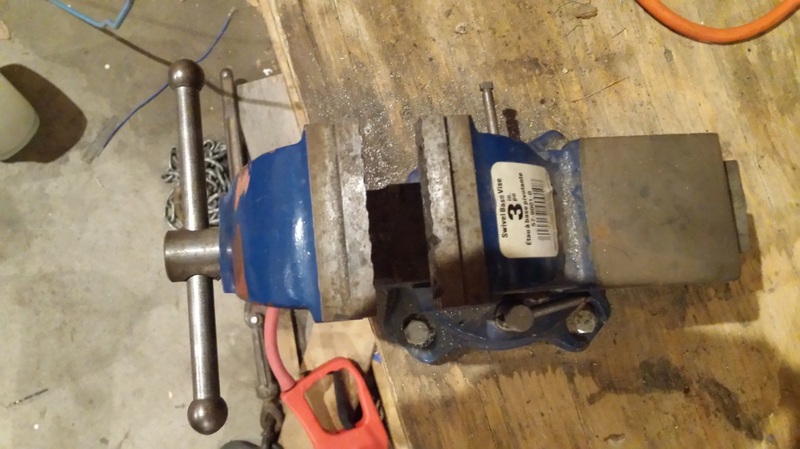 This is my bench grinder. It features two grinder wheels. Valve Face Grinder - This is used to cut engine intake and exhaust valves during engine rebuilding. Will be explained in more detail later. Electric Power Tools have three primary risks. Electrical charge, High speed movement and Momentum. Electrical Charge - When working with electric tools, electric shock is a risk. - Always unplug tools when replacing blades, bits or grinder wheels and when servicing or cleaning. - Wear gloves. If you feel a shock or tingle discontinue use immediately. - Use extension cords that are rated for the required current draw for the tool. Undersized cords, or to many extension cords will reduce voltage to the tool. This will affect power and performance of the tool, and risk damaging it. This can also over heat and burn the extension cord. High Speed Movement - Electric power tools can operate at high speeds. - Use extension cords rated for the current required for the tool. undersized, or to many extension cords will reduce the voltage delivered to equipment and will affect power and performance of tool. Low voltage also risks damaging the tool. Undersized cords may also overheat and burn.